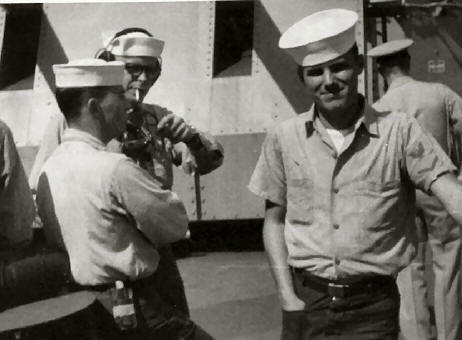 Bud Birk with Ken Williams and Royal Wessels in the background. 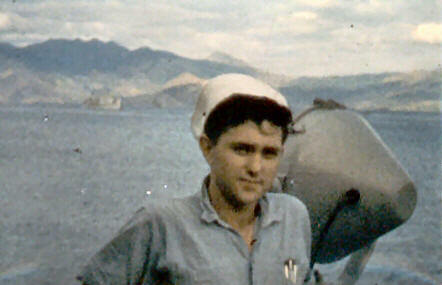 Doug Gealy on the USS Collett in the Philippines. 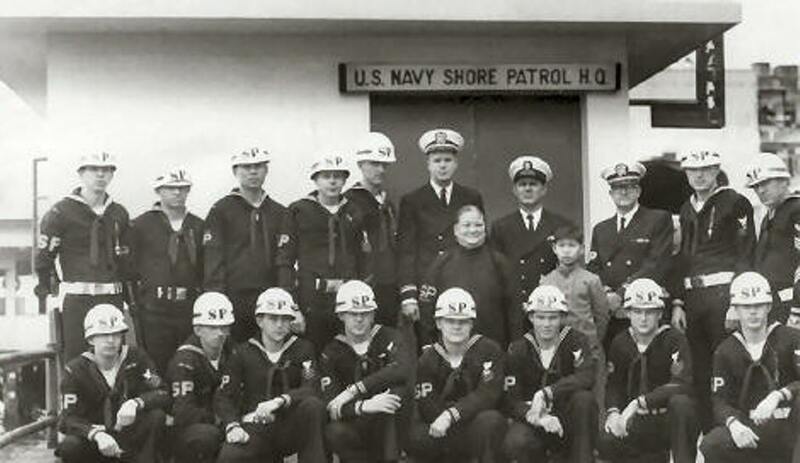 Hard Hat Duty (Shore Patrol) in Hong Kong in 1963 or 1964. 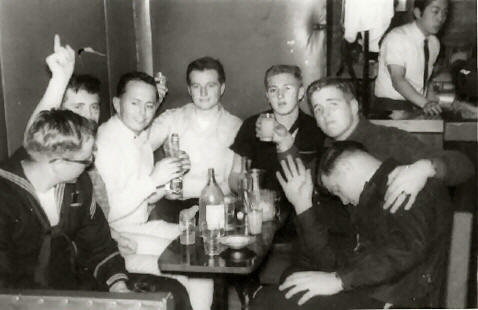 Joe Kozerski identifies the officer at back row center as Mr. Brockett and BM2 Hoover to his right. Far right back row is BM1 Hockensmith. The USS COLLETT entering Sydney, Australia in 1964. 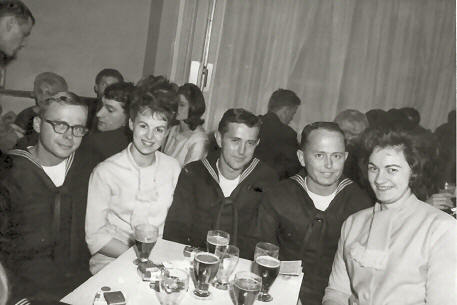 Royal Wessels, Sue, Doug Gealy, Ken Williams, Claire.